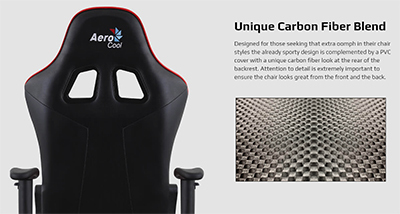 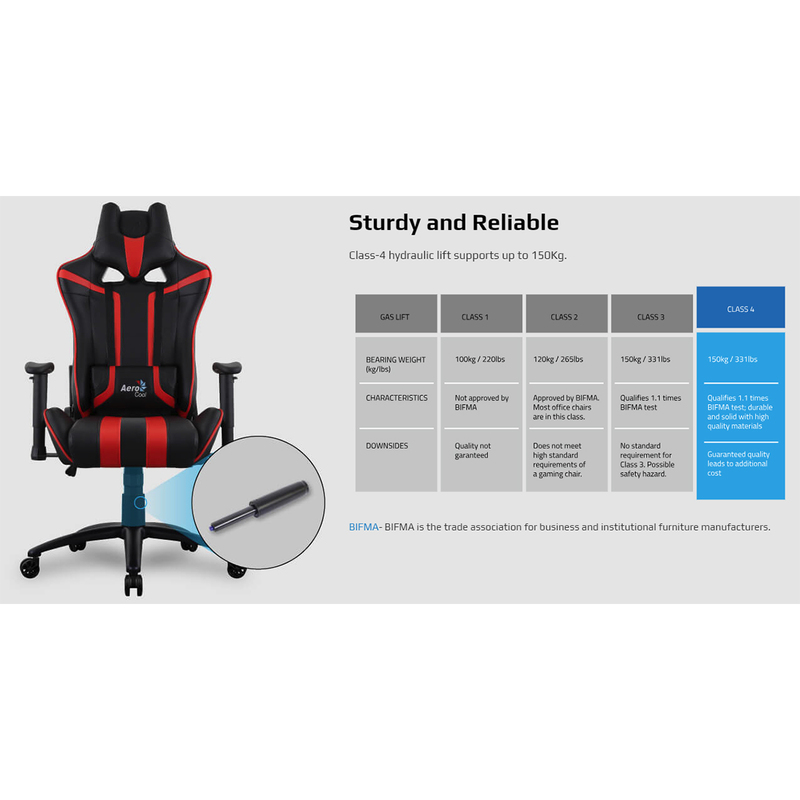 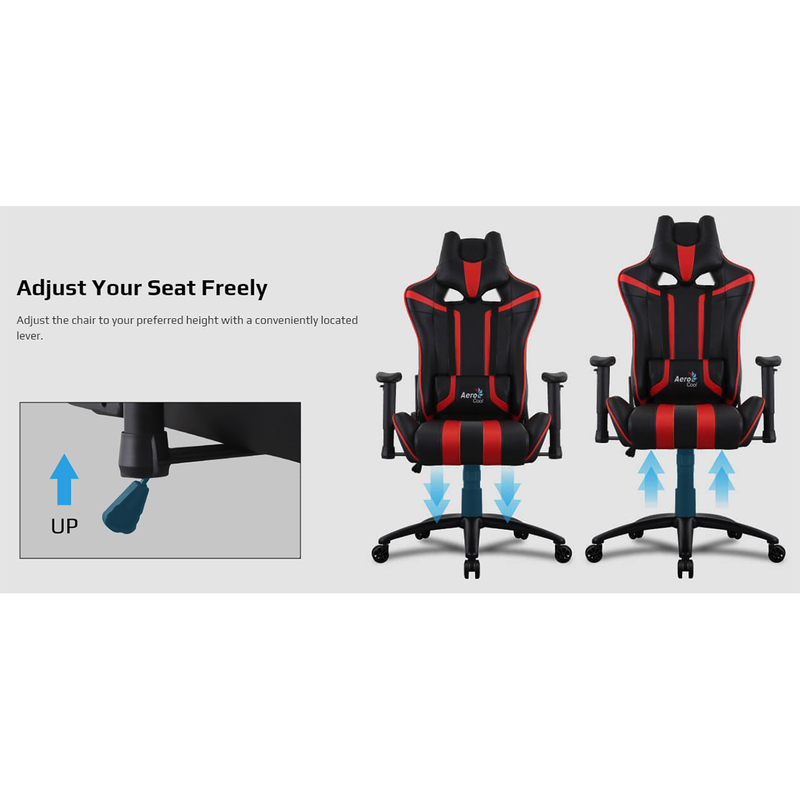 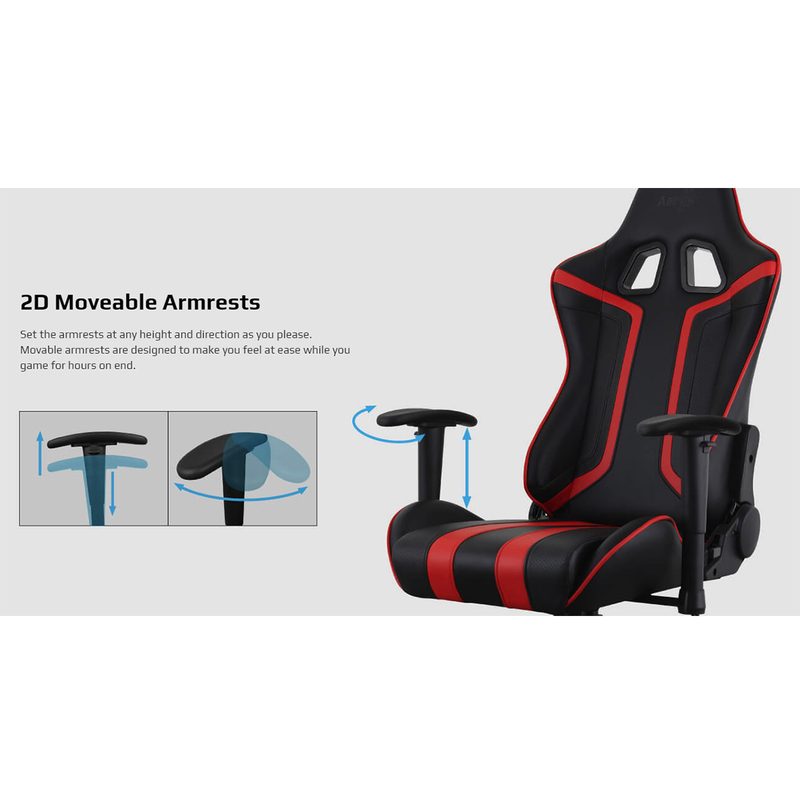 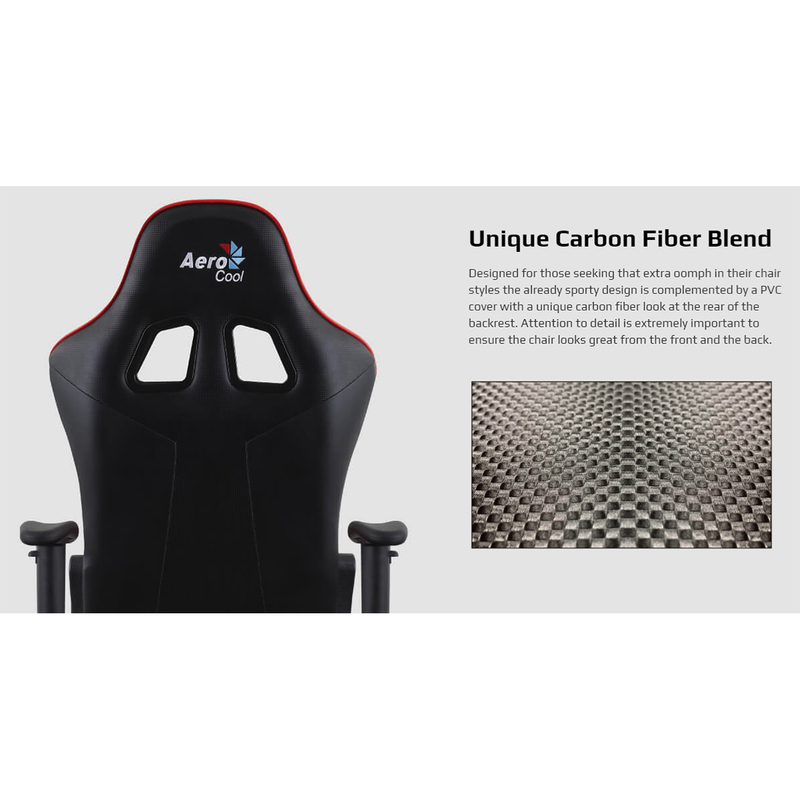 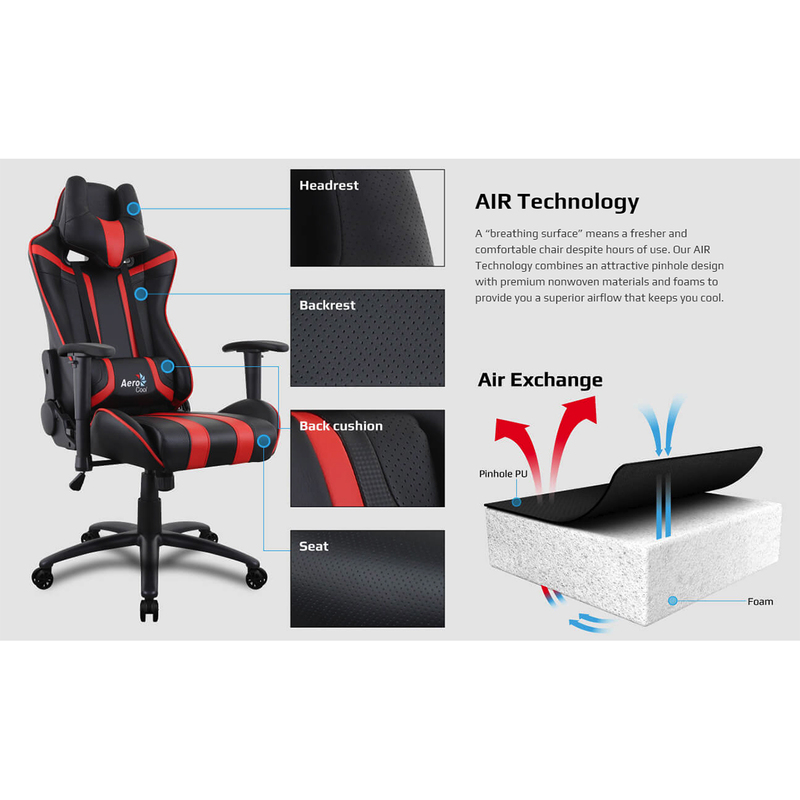 Best Ergonomics - Paired with best ergonomics and impressive design - Aerocool gaming chairs don't just qualify as a comfy office chair, but bring all the requirements to the table as a proper gamer’s chair. 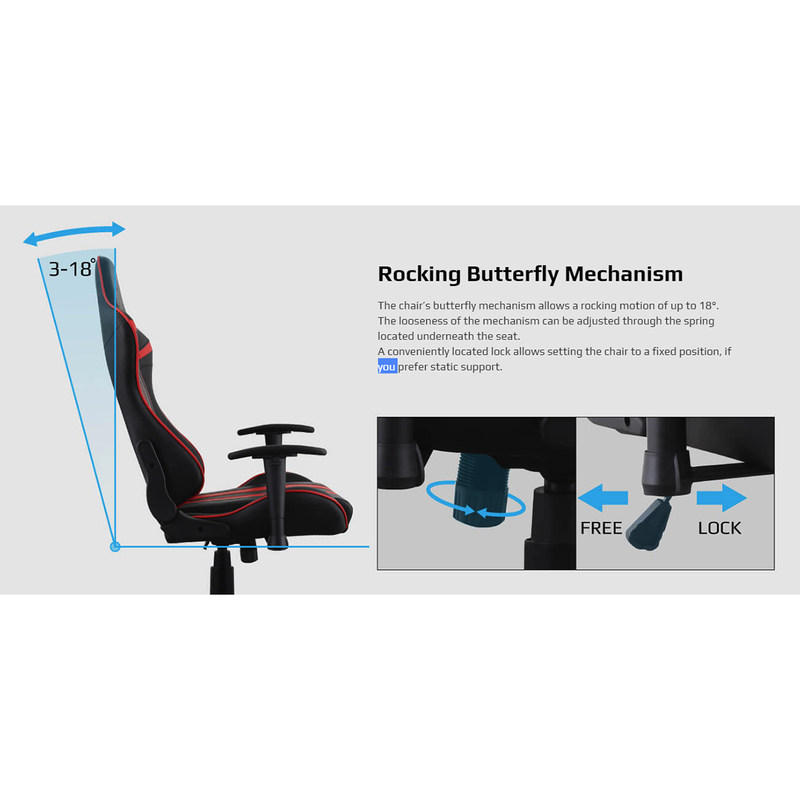 Rocking Butterfly Mechanism - The chair’s butterfly mechanism allows a rocking motion of up to 18°. 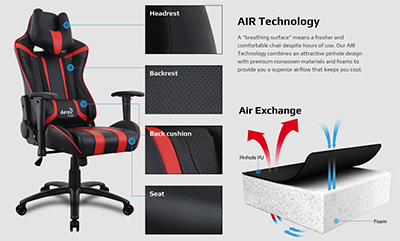 The looseness of the mechanism can be adjusted through the spring located underneath the seat. 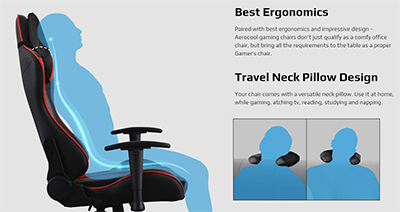 A conveniently located lock allows setting the chair to a fixed position, if you prefer static support. 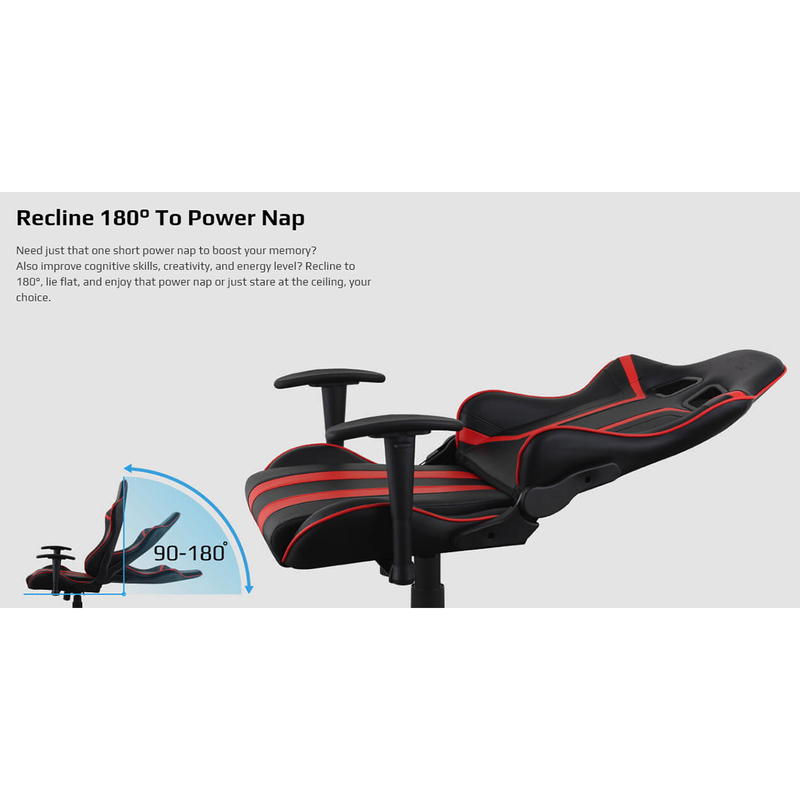 Recline 180° To Power Nap - Need just that one short power nap to boost your memory? 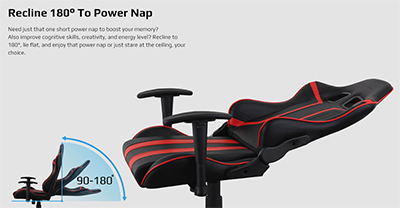 Also improve cognitive skills, creativity and energy level? 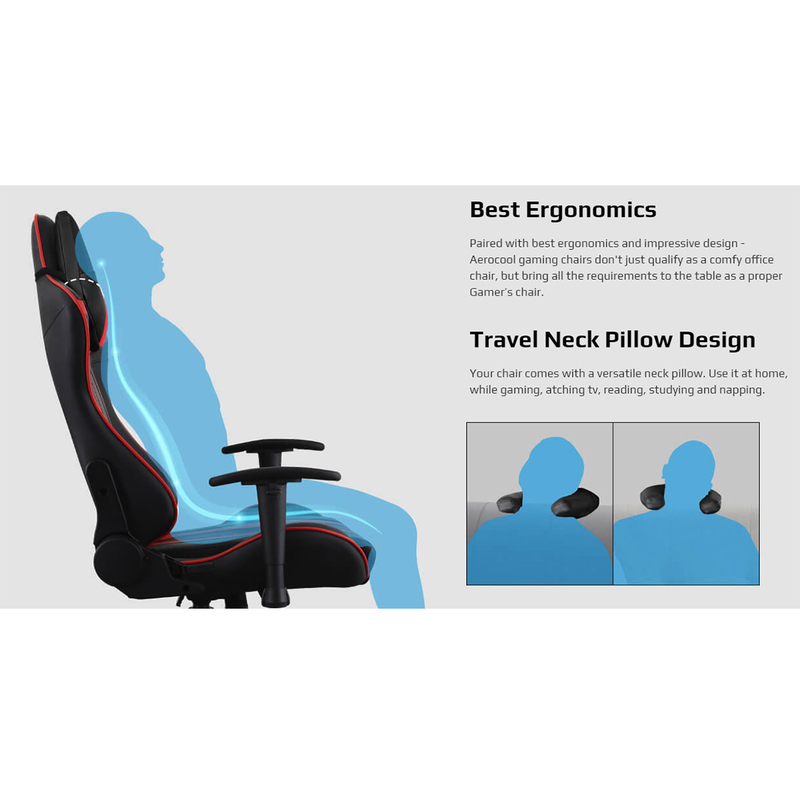 Recline to 180°, lie flat and enjoy that power nap or just stare at the ceiling, your choice. 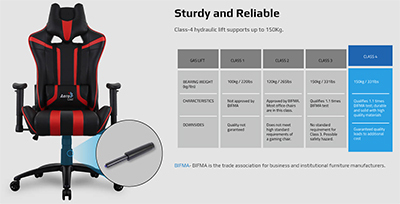 COURIER DELIVERY - Shipping is normally within a few days but delivery may take up to 48 hours and is only working days and hours. 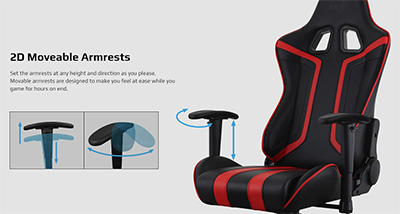 Delivery is between 9am and 6pm.